A snow leopard has been photographed for the first time by scientists using crap trap at Thembang village in Arunachal Pradesh. The camera trap study was conducted by World Wildlife Fund for Nature (WWF-India) in collaboration with Arunachal Pradesh Environment and Forest Department to focus on unexlored snow leopard habitats. Banwarilal Purohit was sworn in as 25th Governor of Tamil Nadu. He was administered oath of office and secrecy by Madras High Court Chief Justice Justice Indira Banerjee. He was transferred from post of Governor of Assam by President Ram Nath Kovind. Japanese-born English novelist Kazuo Ishiguro has been awarded the Nobel Prize for Literature 2017. Some of his best-known works include Never Let Me Go and The Remains of the Day, which he had written in just a month. The award was given for his works that are of great emotional force which uncovers the abyss beneath our illusory sense of connection with the world. India and Ethiopia have signed agreements on trade, communication and media to boost bilateral ties. The agreements were signed after wide ranging talks between President Ram Nath Kovind and his Ethiopian counterpart Mulatu Teshome at Addis Ababa in Ethiopia. 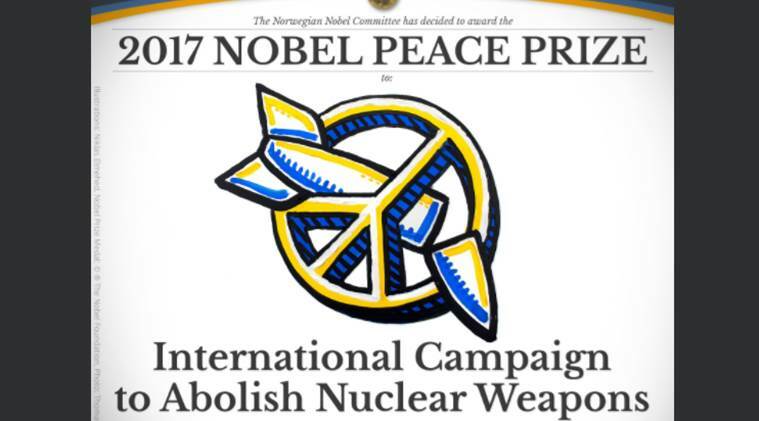 Geneva based coalition of non-governmental organisations from over 100 countries called the International Campaign to Abolish Nuclear Weapons(ICAN) was recently awarded the Nobel Peace Prize 2017. The organisation had been conducting decade long work to rid the world of nuclear weapons drawing to attention catastrophic humanitarian consequences and its ground-breaking efforts to achieve treaty-based prohibition of such weapons. Department of Animal husbandry, Dairying and Fisheries in co-operation with 12 States had undertaken Mass Embryo Transfer programme in indigenous breeds under National Mission on Bovine Productivity Scheme. The programme is implemented with the objective of conservation and development of indigenous breeds under Rashtriya Gokul Mission using Embryo transfer technology (ETT). India signed a Finance Contract with European Investment Bank (EIB) for lending of €300 million for Bangalore Metro Rail Project Phase II Line R6. The project is jointly financed by European Investment Bank and Asian Investment Bank.